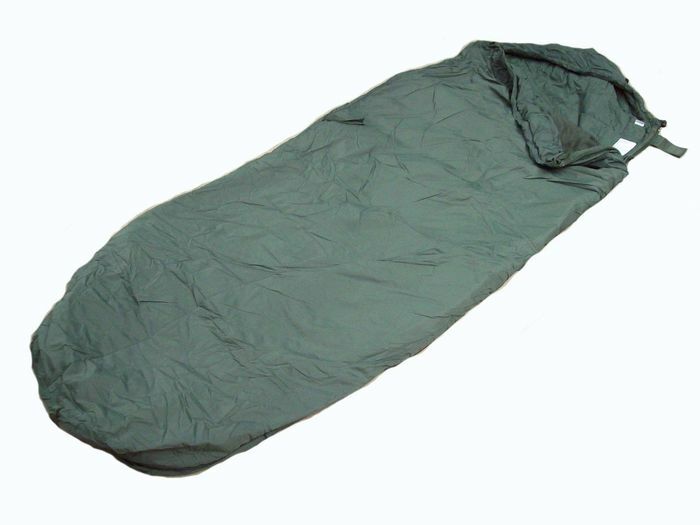 This lightweight sleeping bag is now on issue to UK forces and designed for use in warmer climates where a chunkier sleeping bag would be too hot and bulky to carry. Labelled as 'Sleeping Bag, Lightweight, part of Modular Sleep System' it can be used as a stand alone bag for warmer climates or laced into a Medium weight bag to give a cold climate sleeping bag system, (not supplied!).. These are labelled as MEDIUM, and approximate external measurements are 180cm long x 75cm at shoulders and 45cm across the foot. Comes complete with a concealed roll away mosquito net which can be zipped over the face sealing the sleeping bag not only from mosquitoes but all manner of insects. Large internal mesh pocket to keep small personal items secure, and a zip repair kit in a small compartment at the neck of the bag. Supplied complete with the correct compression sack included to pack it up small.